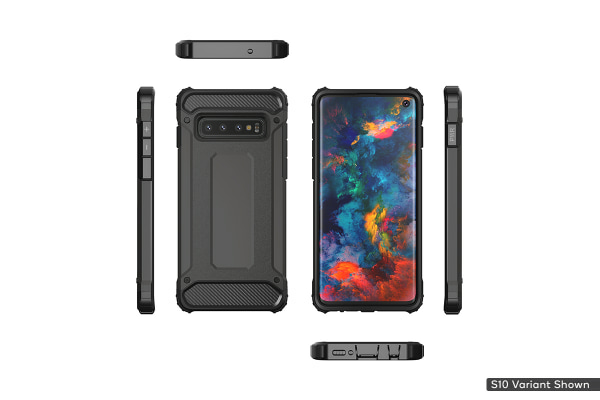 Heavy duty, polycarbonate S10e defence. Shield your Samsung Galaxy S10e from scratches, cracks and scrapes with this heavy duty, scratch-resistant polycarbonate case with reinforced corners to help absorb shock impact. 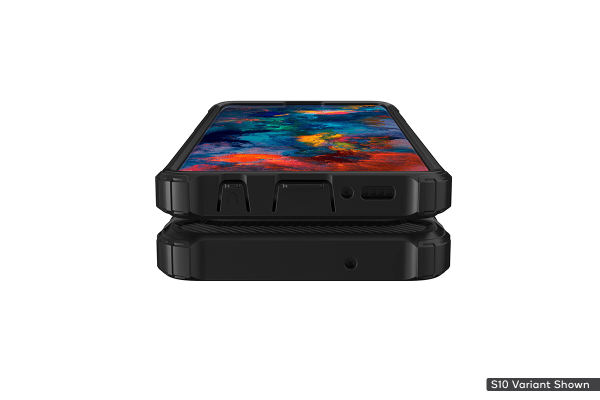 Get peace of mind for the safety of your Samsung Galaxy S10e with this shockproof case, built with reinforced rubber corners to to help protect your Infinity-O display from knocks and drops. 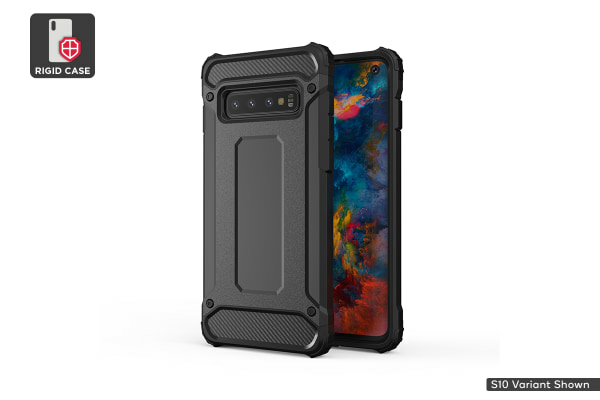 This form fitting, rugged case for your Galaxy S10e is sturdy and covers your buttons, controls and ports without impeding the nearly-frameless design, gripping perfectly into your hand and sliding into your pocket or bag with ease.